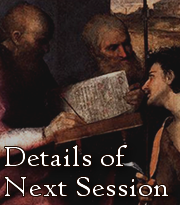 What will we cover in Session 6? Well, now that we’ve covered the basics of grammar for the first declension nouns (that means, the first category of nouns), we’ll move on to cover the second declension! 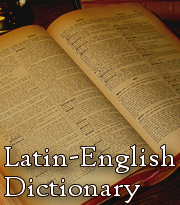 That means, your vocabulary of latin words will expand quite a bit at the next (and next next) session! Sounds good? Well, then… see you next week! It was very good to have the powerpoint for the session so that we could actually make notes on it and follow the session. Would be good if it could be continued for the next few sessions which appears to be getting tougher since it is about grammar. Thanks! I’ll try to do that in subsequent lessons!